Gunnedah is located in north-eastern New South Wales, approximately 475 kilometres from Sydney. The area is known for its diversity of wildlife, including an abundance of koalas. 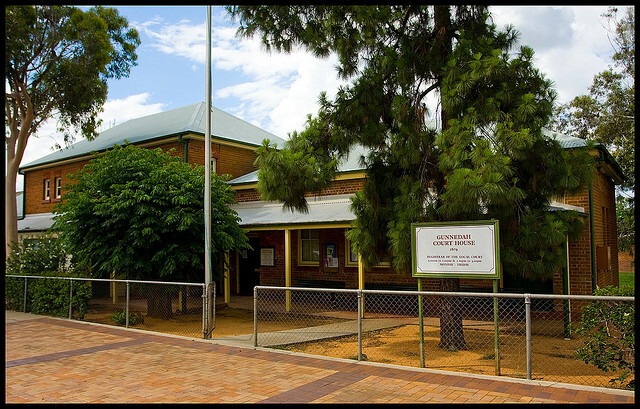 Gunnedah courthouse is on Conadilly Street, close to the local police station. The town has a railway station which is served by daily NSW TrainLink ‘Xplorer’ trains from Sydney. Visit Sydney Criminal Lawyers® for Criminal & Traffic Lawyers for Gunnedah Local Court.